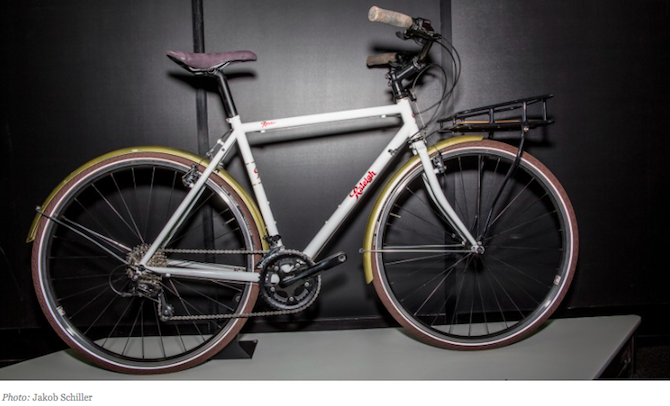 Outside Online recently featured the Port Townsend in "The 5 Most Badass Utility Bikes at Interbike." The Port Townsend features a 520-butted Chromoly frame, 9-speed Shimano Sora drivetrain, 28mm Kenda Karv tires, and a front rack that is designed to carry a Rainier 12 pack. Editor's Quote: "...this bike is all about the function." To view the Port Townsend click here.